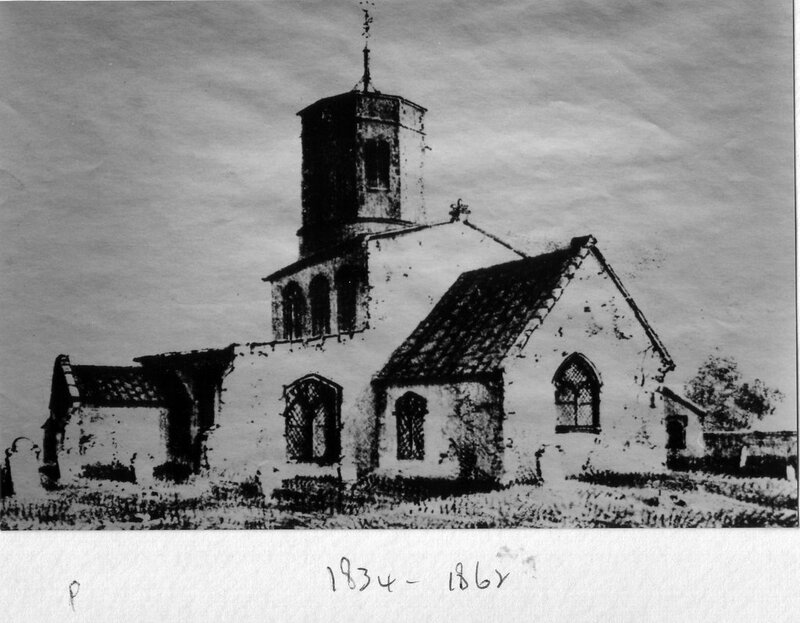 1862-1898. 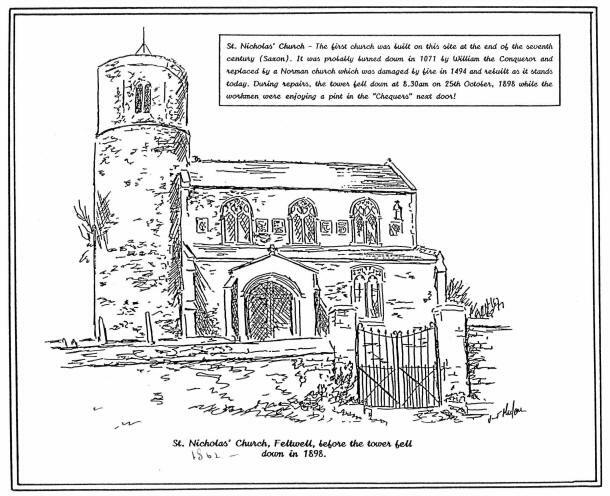 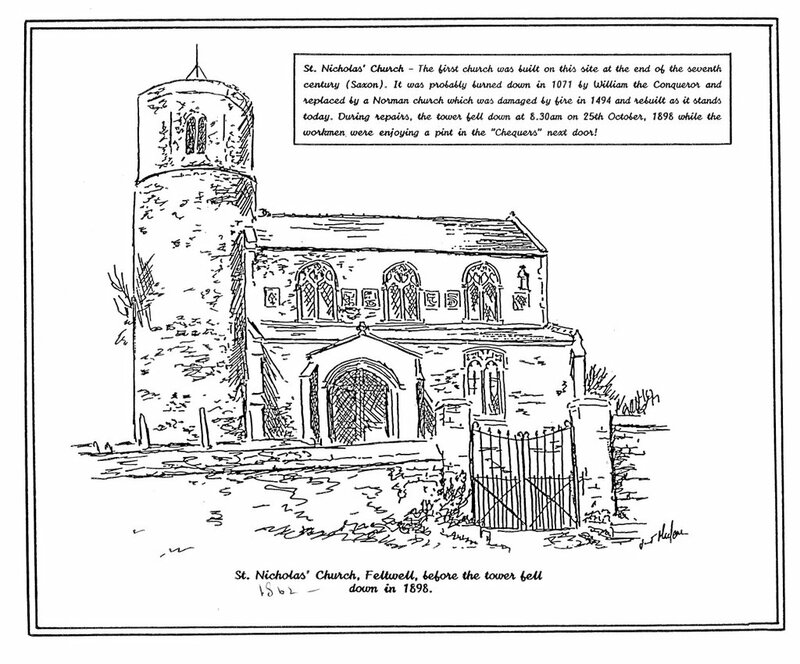 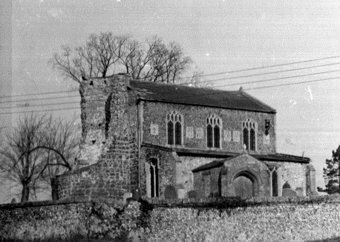 Dates pinpointed as thatched chancel demolished in 1862 and Saxon round tower with its 15th century Octagonal Turret collapsed in 1898. 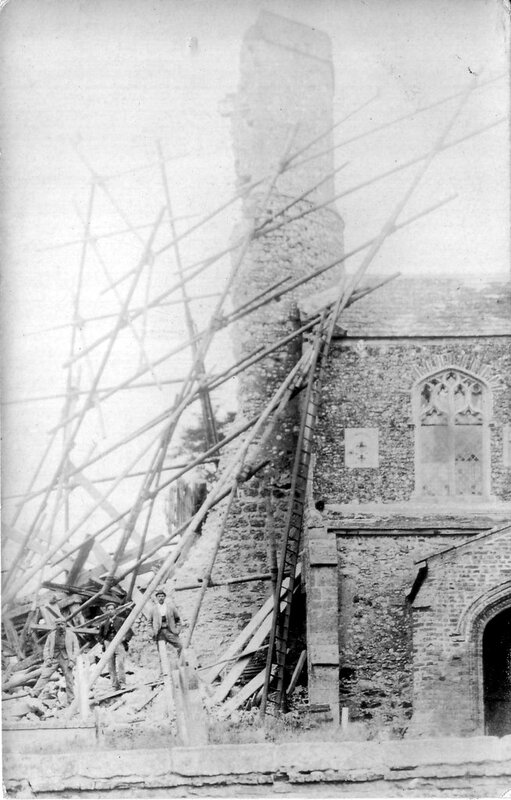 Note - there is a crack almost 3/4 of the way up the round tower (the crack had been pointed) which is the exact point of the "breakaway" when the tower collapsed. 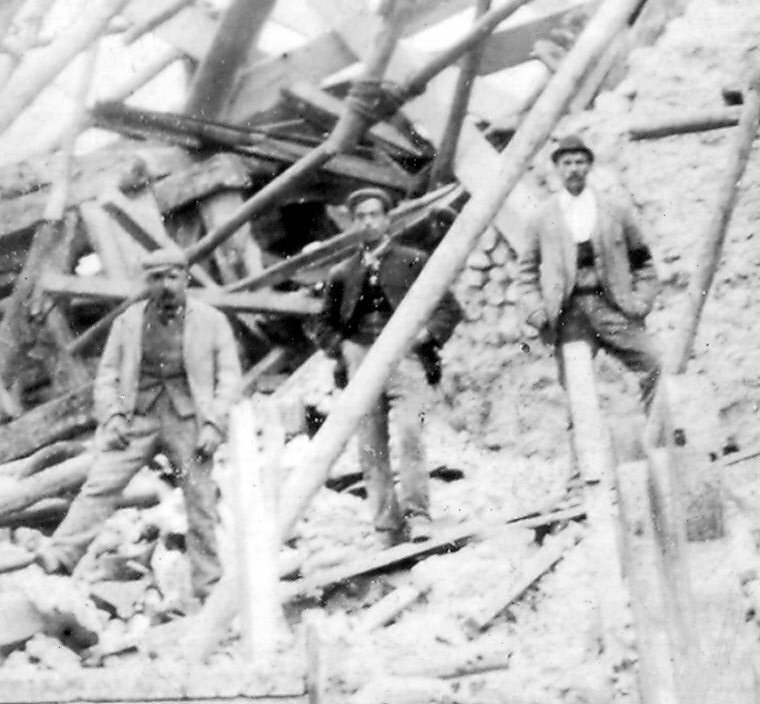 Two drawings - 1 2 The tower collapsed at 8.30am, 25th October, 1898 whilst undergoing repairs, the workmen fortunately at the time being away at their breakfast at the nearby Chequers Public House. 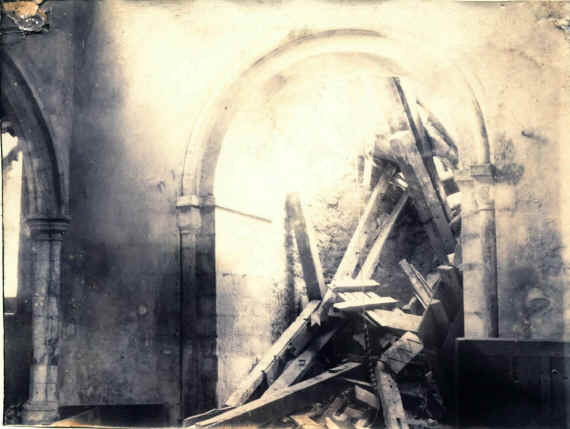 The noise made by the fall of the tower was heard for miles around. 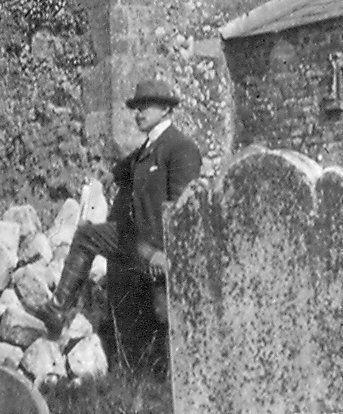 William Hammond Beamis, circa 1896/7, in working clothes probably announcing someone's death. 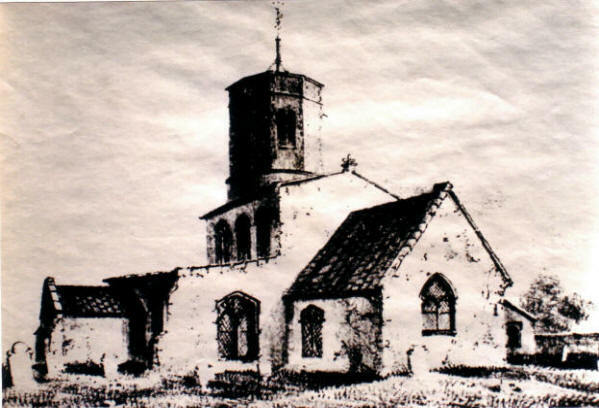 Resigned as ringer after 32 years (both churches). 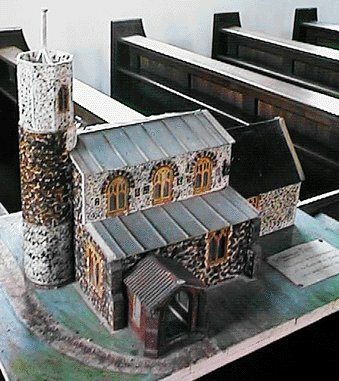 He clashed the bells of St Mary's on the Accession of King Edward VII & King George V also victories at Kimberly, Ladysmith & Mafeking and declaration of peace end of Boer & Great Wars A model of the complete St. Nicholas Church is available for viewing in St. Mary's Church. 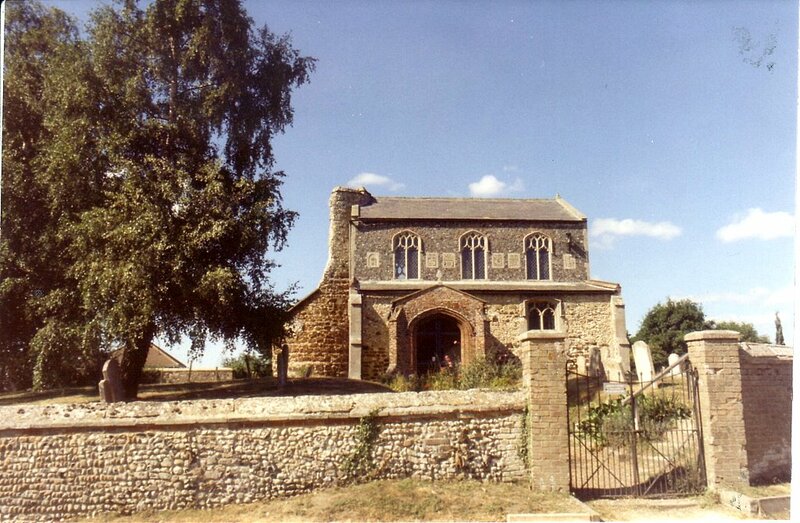 The church is cared for by the Redundant Churches Trust. 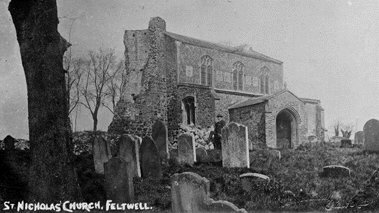 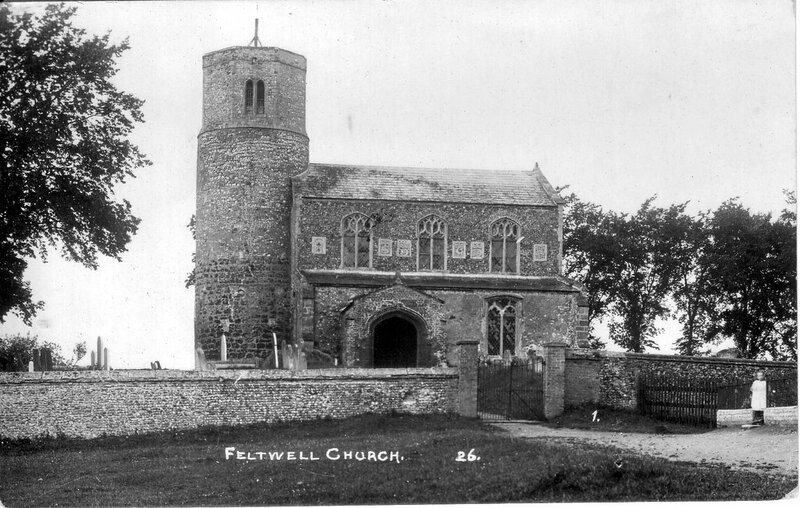 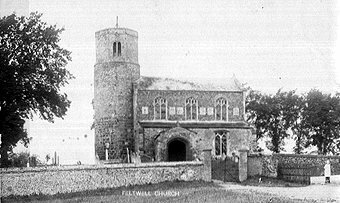 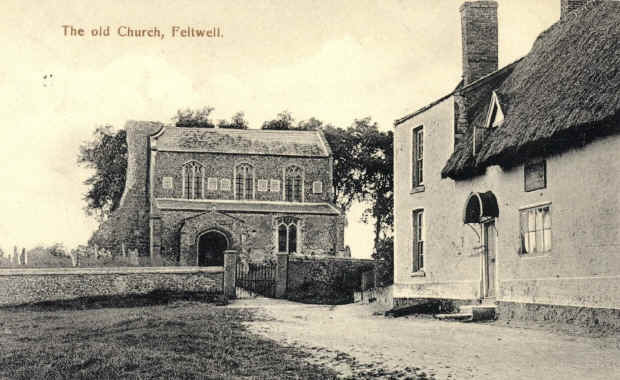 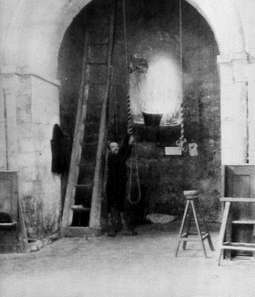 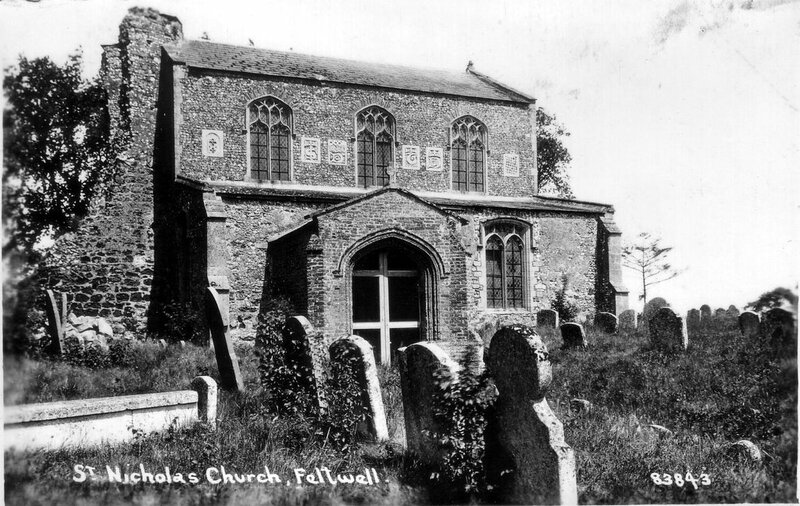 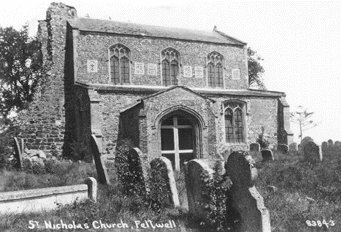 The local custodians are the Feltwell Archaeological and Historical Society which holds an annual Carol concert in the church. 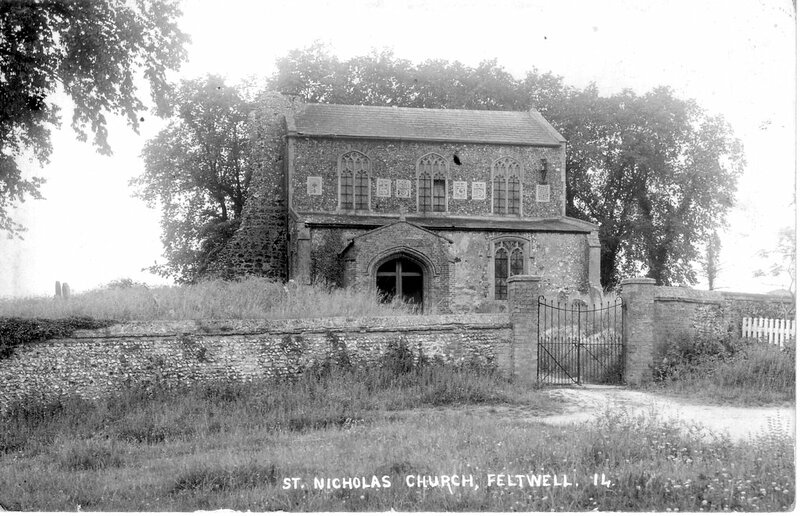 (See Saving St. Nicholas) Come early to ensure that you get a seat. 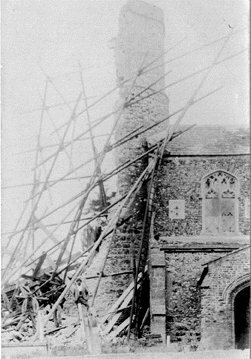 Two rare photographs taken not long after the tower had collapsed. 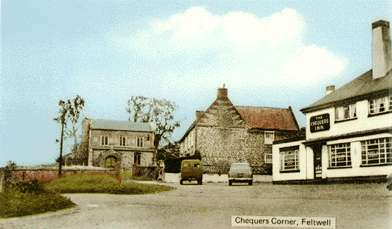 Out of the Church and into the pub? 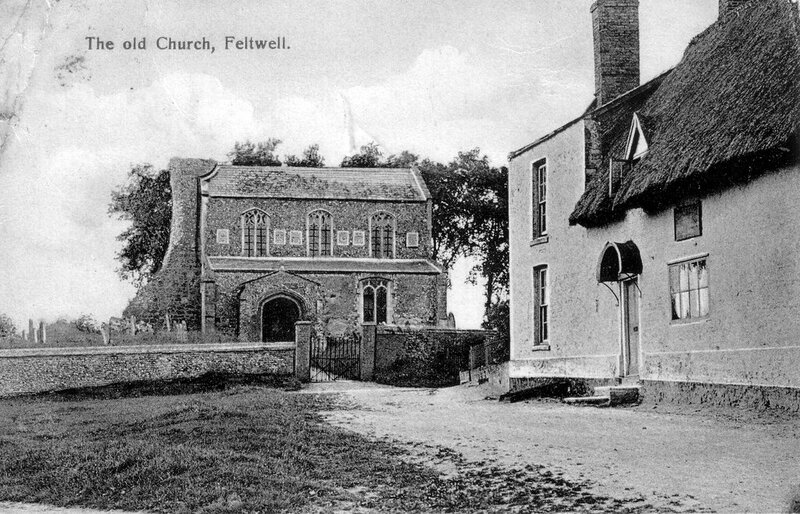 Can the cars be identified? 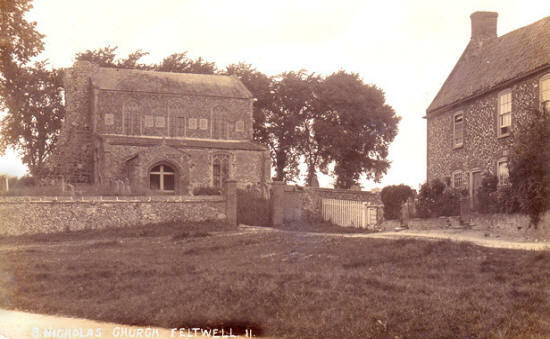 Compare with the one on the left. 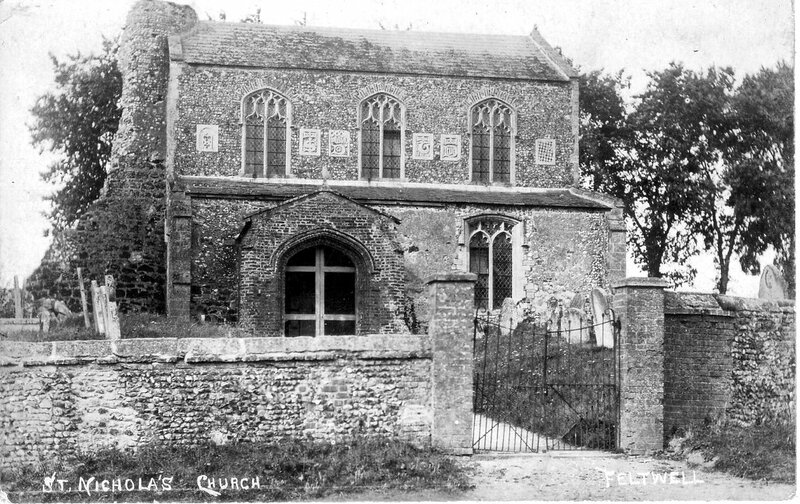 Posted 1909. 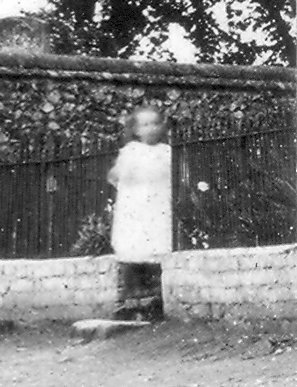 At a similar angle as the one above it, this photo contains a glimpse of two local children probably from the farm visible in the top photo. 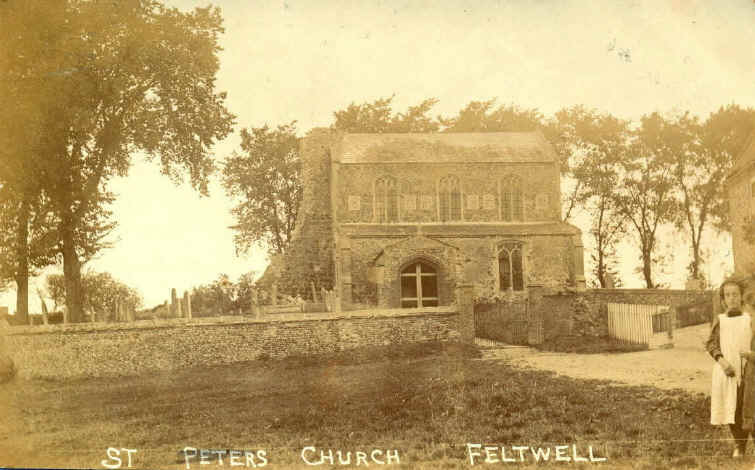 It is from about 1908 and incorrectly labelled as St Peter's Church. 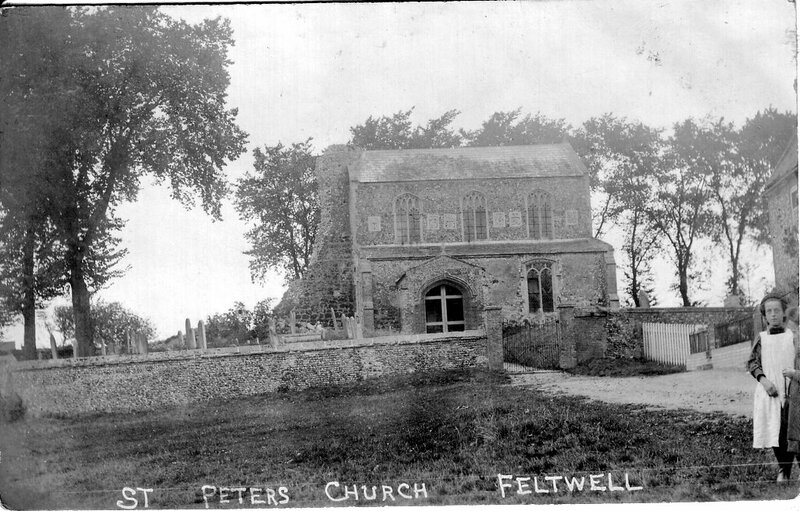 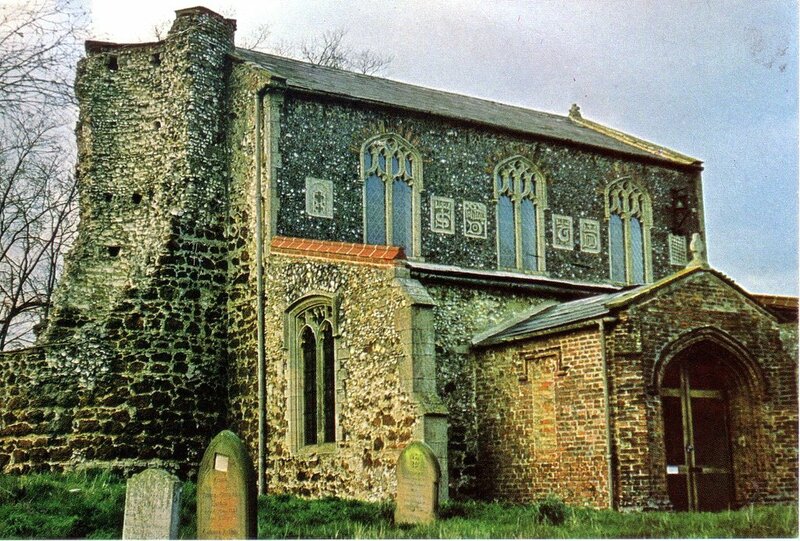 St Peter's was a small church out on Feltwell Fen which was destroyed in floods. 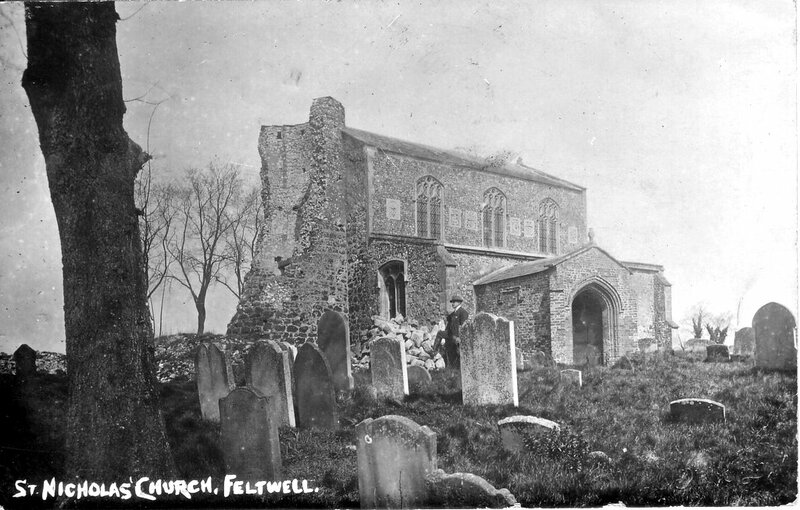 10 Two views of St Nicholas Church taken from within the graveyard wall.